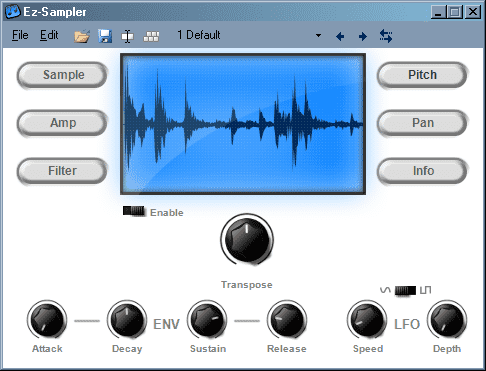 Available for Windows in 32 & 64 bit VST format. I find it more good looking than the TX16Wx! It’s also very powerful; with keyboard mapping, envelope & modulation. like the precedent, it can preview sounds, the browser is very nice. can load wav, aif & snd + sfz bank sounds. On the website you can also download library with good sounds. Availbable for Windows , 32 bit VST. But if you’re still using 32 bit VST, it’s one the best VST sampler around. can load wav files + AKAI sample file (AKAI S5000/S6000/ Z4 Z8) + sf2 files + Recycle REX files. Available for Windows 32 bit only VST. Unfortunaly, the paax sampler has vanished from the internet, and is no longer developed. 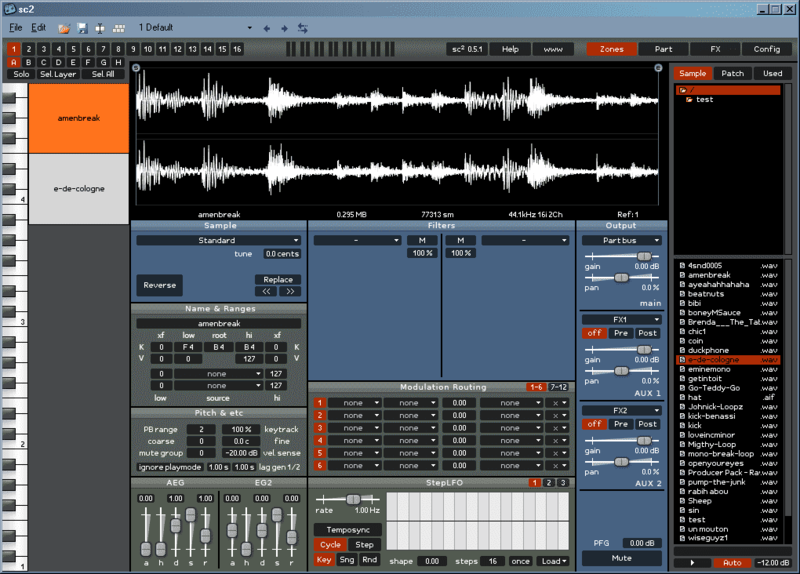 The paax 3 was free for some time, and the paax 2 was always freeware. The UI is small, but all the features are here. Not the fastest workflow, but some like it like that. Available for Windows, 32 bit VST only. This one is simple, you can load only one sample, so no keyboard mapping. Sometimes it’s just what you need ! 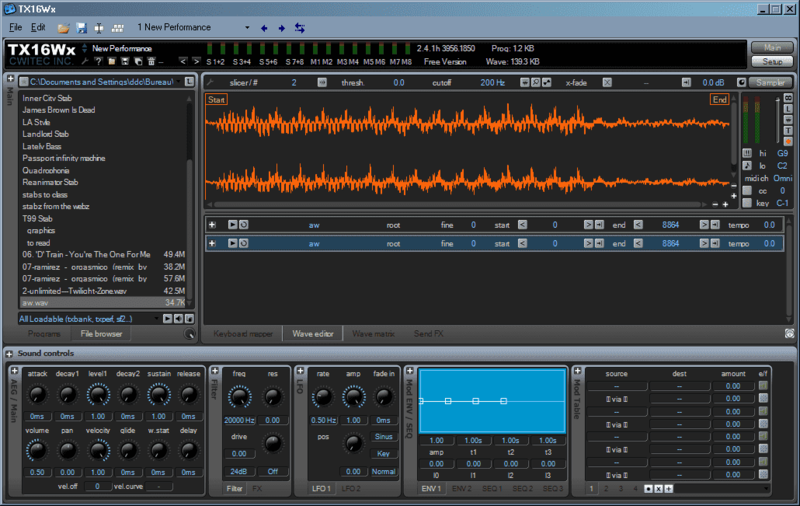 and with EZ-Sampler, it’s fast and without troubles. can load wav, aiff, ogg, flac, snd, wma & mp3 (need Lame Encoder). From the Tobybear “insbag” VST collection. This one is old school ! ADSR on volume + filter + delay + LFO + loop. Just load a wav file and let’s go! drop some LFO on the loop start : instant funkyness! To my mind Helios VST is the Best!!! I tried TX16Wx and it’s terrible. Its controls are clumsy, and the sample level needs to be boosted in order to be heard. It can’t even play .wav files! I’m not surprised. The TX16W was probably the worst hardware sampler ever made. From cubase one one side of the screen, i create a Grace track (instrument), and open the Grace mapping window. 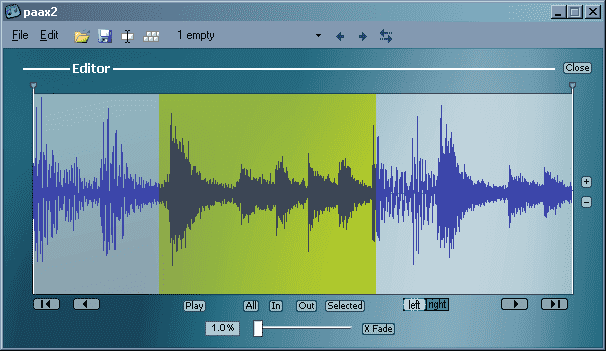 On the other side of the screen, i open the explorer, select the samples one by one or all and drag them on the cubase screen, on the Grace mapping screen. You can then rearrange the samples as you wish. Hope it works for you. 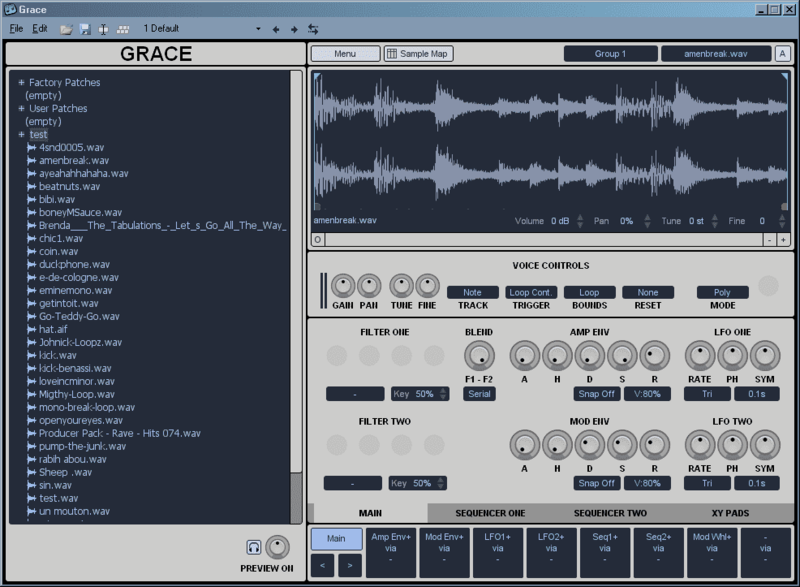 As a vst3 64 bits, Grace is the only free one I found, with Magix Independence. Personally, I would like to control the mapping (one sample by note chromatically) automatically. I haven’t found how. Yes! You can load wav files inside of Grace vst with ease as I have been an owner of this plugin for years! TX16Wx is actually a really good sampler VST, but you have to sit and play around with it for several hours to get the feel of things. Of course it can play .wav files. The previous reviewer who gave it a bad review just needs to spend more time with it; Everybody wants the software to do all the work for them these days, but the fun is in the overcoming hardships with patience and perseverance. I agree with rain, the first reviewer has not played around with TX16Wx. I used to think the same of the sampler till I went on youtube and saw tutorial videos of how to use it. Tip if you don’t know how to use a particular vst just go and look it up on youtube and see how other people use it. I used to sleep on this vst but since I learnt how to use it,its my number 1 go to sampler, And the best part is that the key mapping in my opinion is way better than batterys.